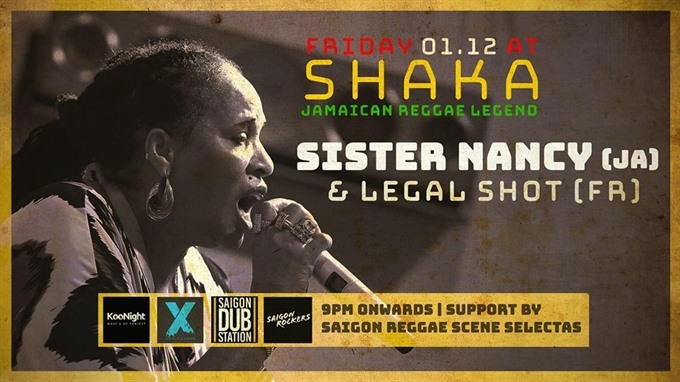 Female legend from Jamaica, DJ Sister Nancey, will perform at Shaka Saigon on December 1. Sister Nancey, aka Ophin Russel, began her career as a dancehall DJ and singer in Jamaica in the 1980s. She is famous for international hits like Bam Bam and Only Woman DJ with Degree. She is also the first female reggae artist to tour internationally. The show will feature resident DJs such as Legal Shot.